Le Meridien Gurgaon is ideally located in the business hub of Gurgaon with Global Business Park, DLF Cyber City and Golf Course Road in close proximity and also offers easy access to Jaipur and Agra. The hotel offers business travellers and holiday makers an extensive range of food and beverage options. 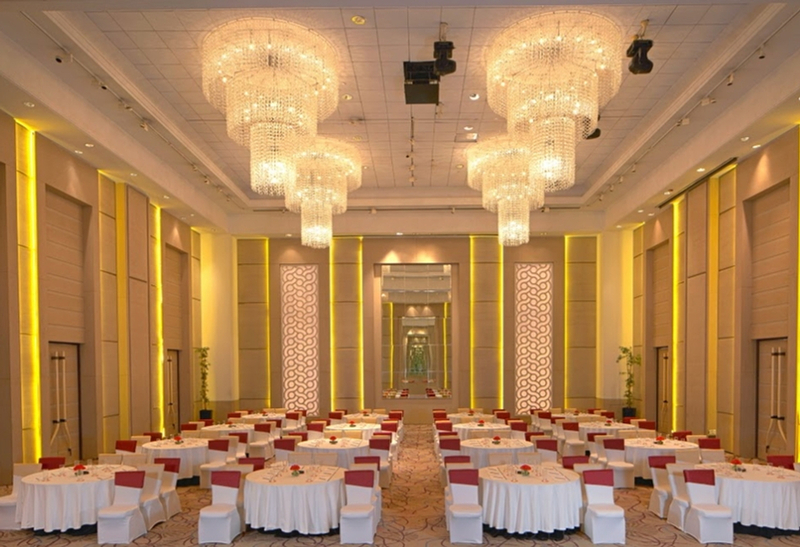 Costing approximately Rs 3000 per person, this five star hotel in located in sector 26 extends with facilities including a pool, gymnasium, spa, banquet, locker and many more. With the elegance of European styling, all of the 285 rooms and suites at Le Meridien Gurgaon offers a panoramic view of the city and features the signature Le Meridien bed with stylish furniture, media hub, iPod docking station and free WIFI. Each of the rooms at this luxurious hotel is exclusively furnished and equipped with the latest technology and conferences with up to 360 delegates can be held. One can spend pleasant hours in the lovingly designed wellness area and enjoy a relaxing massage. The friendly staff in the restaurants serves regional and international delights. The pool party of Le Meridien is amongst the most happening ones in Delhi and Gurgaon.